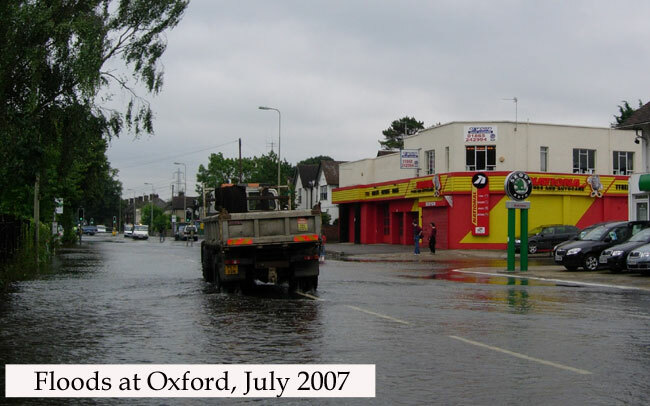 Above: a postcard simply entitled “South Oxford”. This shows Abingdon Road, looking south, taken from the junction with Whitehouse Road. The shop with the awning is currently a launderette and is on the corner of Kineton Road. The tall houses in the distance overlook The Queen’s College sports ground. 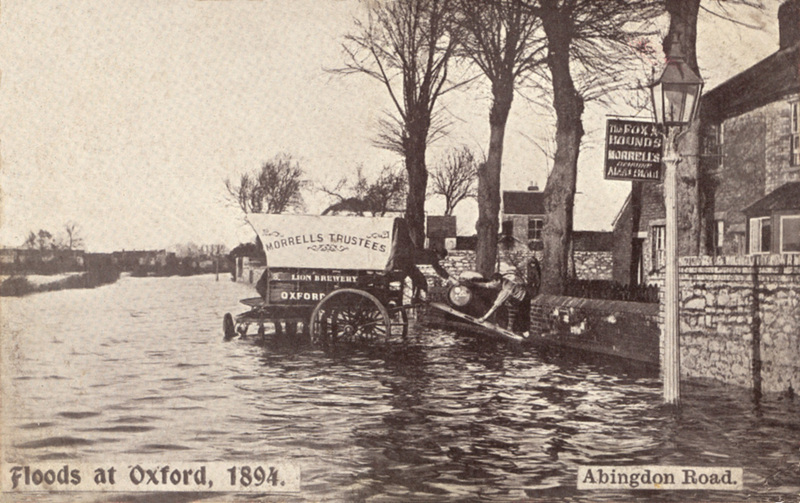 This postcard shows the great Oxford flood of 1894, but was published about ten years after the event. The old Fox & Hounds pub remained open throughout, despite being under three feet of water, and here the Morrell’s Brewery dray can be seen delivering barrels of beer. The 1861 census for St Aldate’s parish shows the Fox & Hounds occupied by Mrs Mary Harris, a widow of 65 kept by her two sons, both railway labourers. The landlord of the Fox & Hounds in 1891 was Charles Turner. This old pub was demolished in the 1920s, and a new Fox & Hounds built on an adjoining site at 279 Abingdon Road. The site of the old pub was a petrol station for many years, and the picture below shows the same scene on 25 July 2007.